kandeej.com: pumpkin pie and caramel apples!!! it will be to make a video of her and I making these goodies!!!!! (and letting me film it! ha ha ha), of her singing the "fat turkey" song! i'd love to see this ! those look so good! i just got done making chocolate covered pretzels. it's so much harder than it looks! haha. 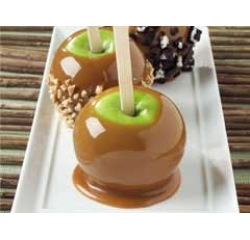 caramel apples are my favorite! Oh, sisters are my favorite! My sisters and I are so close. Happy Thanksgiving, Kandee. I'm thankful for you. homemade Carmel is the best!!! I think that is an AWESOME idea!!! Kandee, I LOVE how you LOVE your Mommy (my daughter calles me her MERMY haha) MY daughter showed me YOUR blog and its been a total inspiration to me. You always make me smile - each time I visit. Thanks for taking the time to do what you do. You make my world sunshiney even on the cloudiest day. You make me go out and DO nice things for people. PS - if you ever want to do like a linked MOM/DAUGHTER DAY or blog train where we could all post Mom and Daughter hug pics I'd totally love to take part! Awww... a mother daughter video would be so cute! happy thanksgiving kandee.. wish you'll enjoy it! Can't wait to see your new videos! i would love to see this too!! I made strawberry cheese cake and it was first time making it for my fiance's family they loved it!! i'm soo happy and i hope you, Kandee and everyone else has a thankful thanksgiving!! Kandee, I just wanted to let you know how wonderful you are! I'm sure you hear it a lot, but it is true! I was going through a really hard break up, and my friend showed me your website. Your optimism and sincere kindness really helped me heal. I really hope and strive to be happier, and more open and kind, and have more faith in God, like you. You really are an inspiration! Thank you for brightening my days when I needed it most! Also, I just bought the Double Extension mascara! 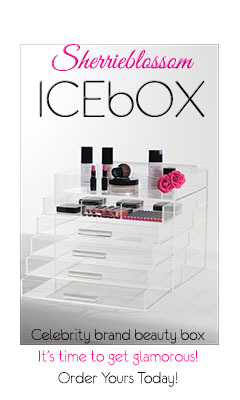 Love it, thanks for the makeup tips in addition to inspiration! CAN YOU PLEASE PRETTY PLEASE DO A LOOK FROM BEYONCE'S PERFORMANCE FROM HER VEGAS SHOW RECENTLY. HER EYES LOOKED AMAZING AND HER FACE LOOKED SO PERFECT. them there caramel apples have MY name on them when I come to visit L.A next year - hehe! oh they look so so good!